News from ACEE: 20 schools showcasing climate leadership, resources and more. April 22nd Earth Day event a resounding success! What a great way to celebrate Earth Day and Canada's 150th by showcasing '150 ways schools show climate leadership' with 20 schools in Edmonton. 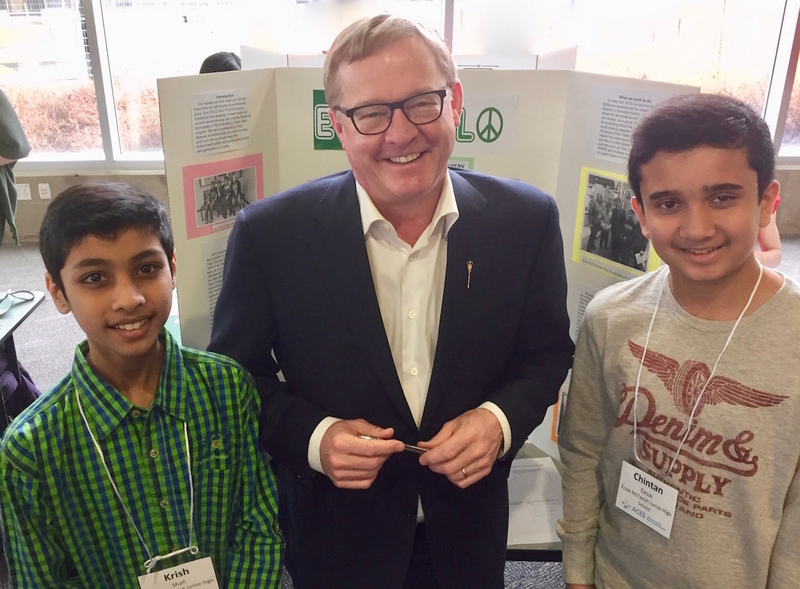 Students showcased their climate leadership initiatives with the Hon. David Eggen Minister of Education, other MLAs, government staff, school board trustees and associations and other groups that support schools. This was so much fun we're going to do it again in Calgary in November. Thanks to the Community Fund for Canada's 150th through the Edmonton Community Foundation in collaboration with the Government of Canada for making this possible. 57% think the country should be doing more to address climate change. 74% think we needs to generate more renewable energy in order to meet the demands of the future. We have compiled energy and climate change resources on our website to support all educators in teaching about these topics, find the list here: http://www.abcee.org/climate-change-energy-resources. Watch this short interview with youth climate activist Xiuhtexcatl Martinez and Bill Maher. Get Outside and Play Week is a program from ACEE and is an Alberta wide celebration of outdoor nature play in the early years. Communities and early childhood educators are encouraged to focus on outdoor play and organize events that engage families. Families can let us know how they plan on celebrating Get Outside and Play Week and be entered to win terrific prizes. Learn more and access the resources at getoutsideandplay.ca. Why not take your students outside to engage in learning beyond the classroom? 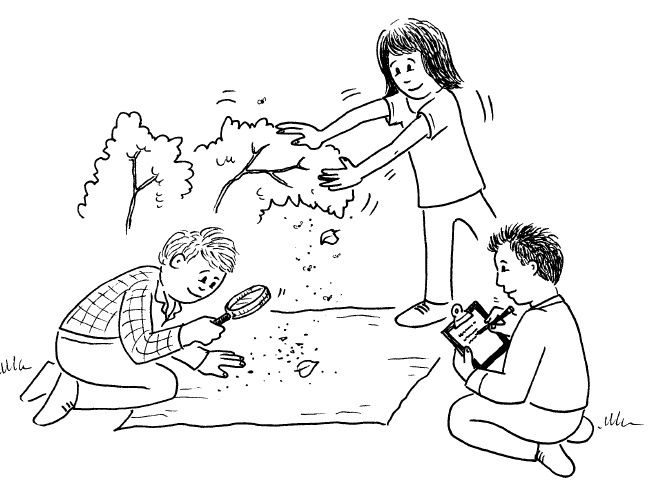 Make a Park is a simple activity from Five Minute Field Trips (Pg. 12) that you can do anywhere in your school yard. Use ropes or Hula Hoops to create small parks - in pairs, students become park interpreters to showcase the features of their park to other students. They'll be amazed at what they find in their own schoolyard. Share your story - If you have made a 2-6 minute video about an innovative learning activity or teaching strategy, Green Teacher wants to hear from you. They will edit your raw footage if necessary, publish your video on YouTube, and highlight it on their website and in their social media. For more details, or to view the 8 videos Green Teacher already hosts on its site, visit www.greenteacher.com. Publication - Springer publishers is looking for youth between 0-25 years old to submit pieces for publication in an upcoming book focusing on ChildhoodNature. The focus is on children and youth relationship with nature, animals and environmental issues. Learn more here. Youth Grant - Alberta Emerald Foundation offers up to $500 for youth-led and youth-targeted environmental projects and initiatives. Learn more and apply here.